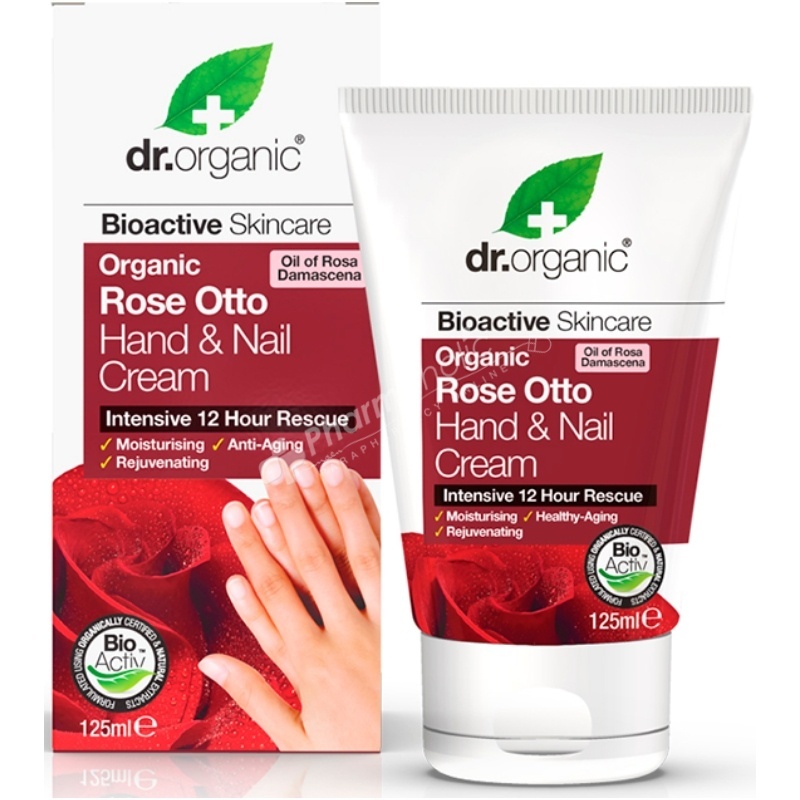 The emollient and moisturising qualities of Dr.Organic Organic Rose Otto Hand & Nail Cream components assist in restoring the hands to a soft and smooth condition. It binds the nail and penetrates the skin, providing elasticity and moisture to the cuticle and greatly improving the hands appearance. An intensive and protective cream for every day use, based on Organic Rose Otto Oil, Aloe Vera, Olive Oil, Honey, Passionflower, Limeflower, Calendula, Chamomile, Vitamin E plus Geranium and Clove Essential Oils. Formulated to soothe and protect dry or rough hands against the effects of normal day to day activities. The emollient and moisturising qualities of its components assist in restoring the hands to a soft and smooth condition. It binds the nail and penetrates the skin, providing elasticity and moisture to the cuticle and greatly improving the hands appearance. Aloe Barbadensis Leaf Juice, Aqua, Glycerin, Caprylic/Capric Triglyceride, Isopropyl Palmitate, Ethylhexyl Stearate, Isocetyl Palmitate, Polyglyceryl-3 Methylglucose Distearate, Olea Europaea (Olive) Oil Unsaponifiables, Cetearyl Alcohol, Glyceryl Caprylate, Olea Europaea Fruit Oil, Honey Extract, Tocopherol Helianthus Annuus Seed Oil, Pelargonium Graveolens (geranium) Oil, Eugenia Caryophyllata (clove) Flower Oil, Rosa Damascena (rose) Flower Oil, Parfum, Rosa Damascena Flower Extract, Passiflora Incarnata Extract, Tilia Europaea Flower Extract, Calendula Officinalis Flower Extract, Chamomilla Recutita Flower Extract, Sodium Benzoate, Potassium Sorbate, Sodium Phytate, Citric Acid, Ascorbic Acid, Geraniol, Linalool, Citronellol, Eugenol.